The new school year is in full swing and with it the accompanying craziness. Are you a little bit worried about seeing some less-than-ideal grades on your child’s report card? Or are you fighting the daily struggle to get your children out of bed in the morning? With a juicer, you can harness the power of nature to help out with these problems – both for you and your kids. 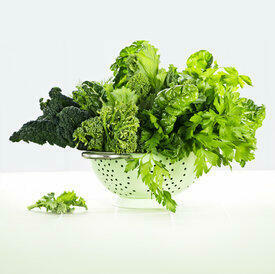 Fresh juice provides a quick kick of vitamins and energy, and can help sharpen the brain and calm irritable nerves. It’s a great way to survive those 10 months of school. Obviously only three recipes could get a little boring after a while. A great way to keep it fun and interesting is to include your kids in the juice making. Let them try different combinations of fruits and vegetables. You can even let them name their recipes. Maybe something green can be called „The Hulk“, or something orange with carrots could be „Orange Power Punch“. Be cretive and have fun with it! Are you having trouble getting your kids to eat healthy or get any beneficial vitamins? Take a look at some ideas in our previous article.